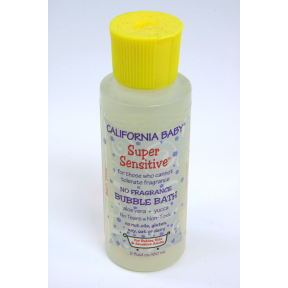 2 oz travel size bubble bath in plastic bottle. Organic and natural. For babies, kids, and sensitive adults. Fragrance free. No tears. Non-toxic. Paraben free.